The Yick Home Wok Unit offers commercial quality for the home kitchen. Robert Yick Company’s Home Wok is highly versatile – you can steam, sauté, braise, poach, deep-fry, stir-fry, simmer soups and stews, and much more. 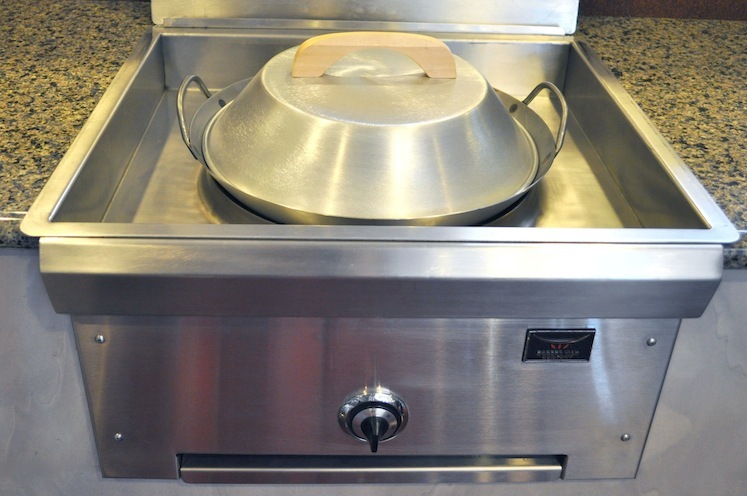 The Yick Home Wok Unit’s cylindrical design delivers maximum high heat to the wok surface with minimum heat loss. Wok cooking intensifies and accentuates food flavors, colors, juices, and textures. Our Home Wok Unit is perfect for today’s active, health-conscious and busy lifestyle. It gives the home gourmet chef another option to cook everyday dishes faster.